• Tenant — Optionally, select which tenants use this category group. 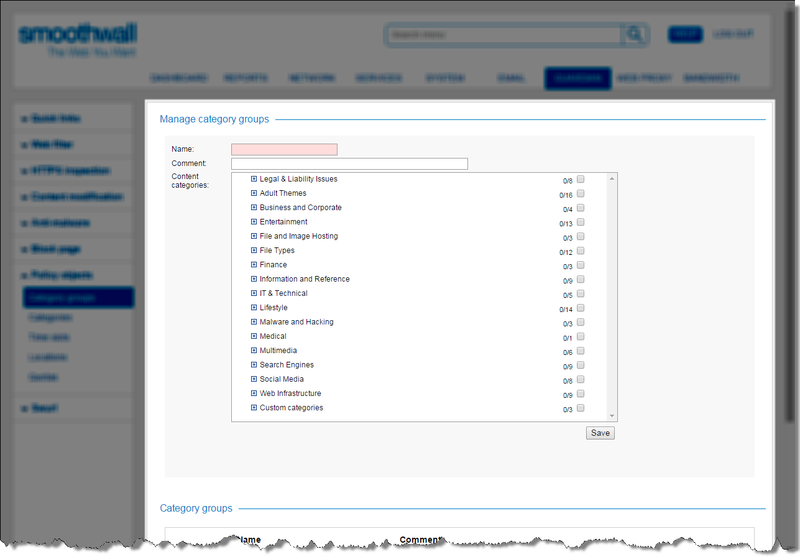 Note that only those tenants selected can use this category group. Specifying the tenant enables your Smoothwall to apply network and web filtering permissions to users coming from different tenants with usernames which are the same. 4. Adjust the configuration as required. 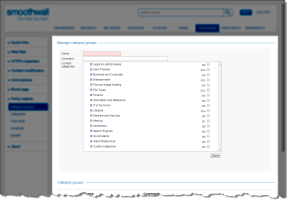 For a detailed description of each setting, see Creating Category Group Objects.